Crack the lip and then crack a cold one with our signature bottle opener. Features our O.G. logo on one side and the king of the parking lot "Carlton" logo on the other. 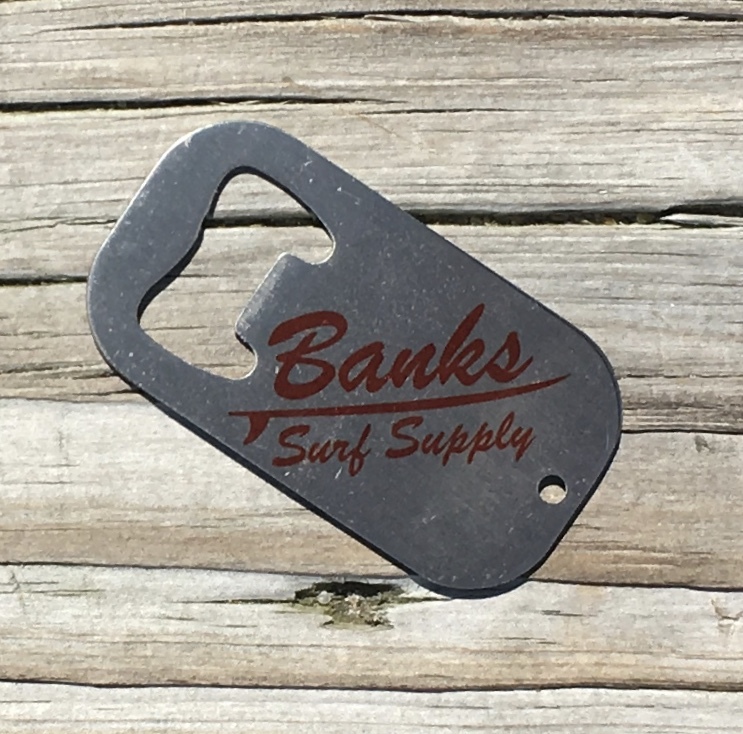 Logos designed and printed here at Banks Surf Supply.